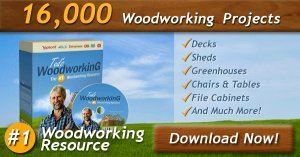 Free woodworking plans for the outdoors including playhouse plans, tree house plans, free swing set plans, even a lemonade stand. Build a Children's Play Structure - This one begins with a purchased Play Structure kit. Backyard Treehouse Plans - Plans for a good looking treehouse that is built with safety in mind and with helpful tips to make building this treehouse even easier. Charming Play Cottage - Build your little one this charming little play cottage that has all the appeal of a story book cottage. This plan gives you all the instructions needed to create this attractive play cottage. Swing Set Treehouse Plans - This treehouse sits on the ground but is built around an existing tree. Along with a swing set and slide this treehouse is one great place for outdoor fun. Playhouse Plans with Porch - Here is a cute little playhouse that looks just like a real house. This playhouse has standard windows and door plus a welcoming front porch. This treehouse has is built between 2 houses and has 2 entrances.....one from each yard. Castle Playhouse Plans - This charming playhouse maybe small but it looks just like an ancient Castle from long ago. Your kids will have lots of imaginary fun in this castle playhouse. Fun Time Clubhouse - This great looking clubhouse will give kids a private place to call their own. Create peace of mind by building a strong and sturdy club house for your child. 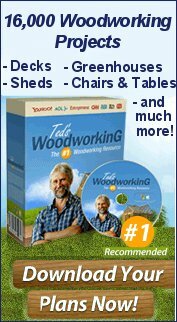 The treehouse guide - Construction guide plus everything you ever wanted to know about treehouses! Outdoor Fort - This outdoor fort for kids has a trap door, slide, a climbing wall and more for outdoor fun all summer long. Two Story Playhouse Plans - Here is a two story playhouse that has areas to climb and two landings for creative outdoor fun. Kids will have hours of fun and exercise on this awesome outdoor playhouse. A-Frame Treehouse Plans - Build a place where a kids imagination can run wild using these free plans for an A-frame treehouse. A Sturdy Playhouse - Build your child a strong and sturdy playhouse that will also be around for your grandchildren to enjoy.